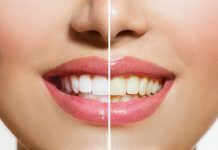 How Much Does Teeth Whitening Cost These Days? 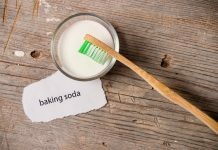 DIY Teeth Whitening Homemade Remedies. These Simply Work! 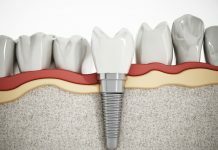 Snap-In Dentures Vs. Implants – How Much Do They Cost? How Much Does A Root Canal Cost On Average? Why Do I Have Pain After Root Canal? Average Cost Of Braces. How Much Do Braces Cost Exactly? How Much Are Braces And Why? If you are missing a few teeth, you may consider getting dentures. These are false teeth made of acrylic, metal or nylon. They are fixed on the gum to fill up spaces. With dentures, you can smile as usual and carry on with your life normally. However, how much do they cost? 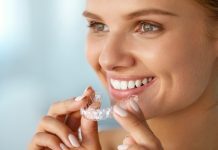 Usually, the cost of dentures will depend on a number of factors including the type of dentures in terms of the material used in their production as well as whether they are partial or complete. With all these factors to consider, one may be overwhelmed when making a decision to get dentures. The first consideration, you need to make before you go for dentures is the extent of your dental restoration. Do you need a whole set of dentures or just a few of them? Complete dentures are larger and they are meant to occupy your whole mouth. Therefore, they are more expensive since they come in a complete set. On the other hand, partial dentures are designed to fill up some spaces in your dental formula. Hence, their cost depends on the number of dentures needed. There are three kinds of dentures to choose: conventional dentures fixed with dental adhesives, implant-supported dentures and immediate dentures. The latter is given to a patient as soon as their teeth are removed to restore their oral function. 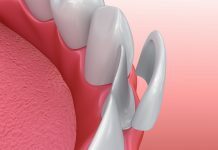 Whereas, partial dentures include cast dentures, acrylic flipper dentures together with implant-supported dentures. Getting dentures is a long-term investment. Hence, you need to be careful when you are selecting them. For instance, while beautifully designed acrylic dentures are expensive, the added durability may overshadow the initial cost in the long term. If you choose to go with a poor material, you will lose more money when replacing the dentures. However, when quality dentures are well taken care of, they can last long. In addition, if you want dentures that are supported by implants, be prepared to dig deeper into your pockets. 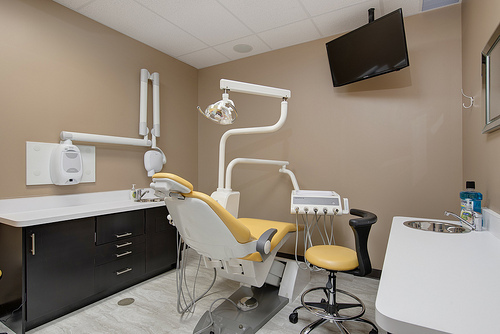 However, this procedure can prevent you from making future visits to your dentist. Unlike traditional dentures, they can last longer. What’s more, they do not need to be realigned and neither do they cause discomfort. 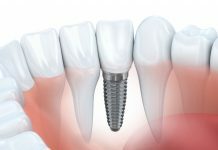 The implants are made of titanium and are fixed into the gum with a surgical procedure. Dentures come in different materials. There are some which are made of nylon and do not cost much. There are also dentures from metal and acrylic, which are more expensive and are unaffordable for budget patients. Although their cost is high, they come with a package of benefits including durability and a level of elegance. Unless you are wearing implant-supported dentures, your dentures will require repair or replacement at certain times. If your dentures crack, it can affect the way you speak or eat as well as your appearance. 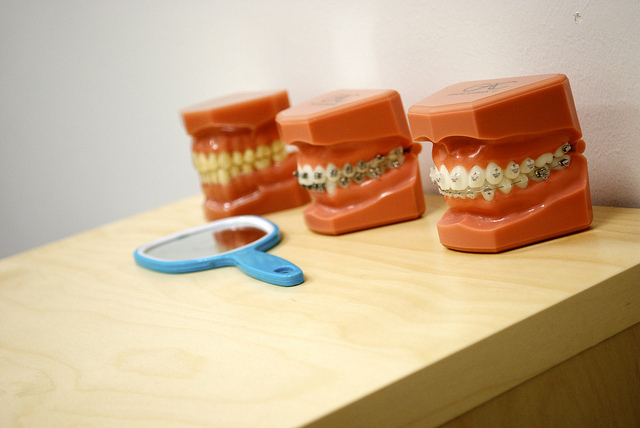 Therefore, if your dentures are damaged, you will need to seek repair services from a dentist as soon as possible. It is recommended that dentures be relined after two years and they should be replaced every eight years. The repair and replacement procedures have a price tag. 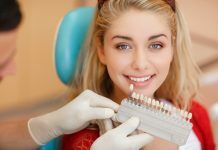 Depending on the dentist you choose, they might have different financing options. Usually, the dentures are relatively expensive. 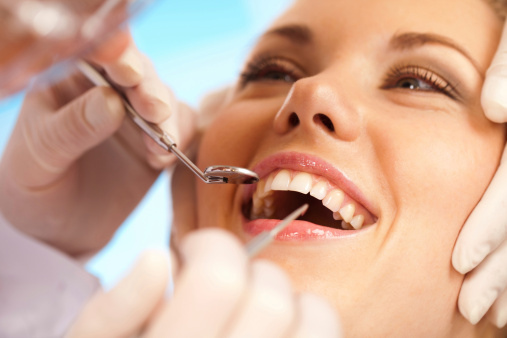 Hence, if your dentist does such options, you will be required to pay the entire upfront cost. This can make the purchase of the dentures and the procedure of fixing them very expensive. 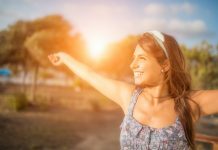 However, those who can access health insurance plans such as Medicaid can benefit from comfortable payment installments which they can pay over time. Putting on dentures can be expensive. Hence, there is a need to take care of them. How do you go about it? To start with, anytime you are dealing with your dentures, make sure you are over a basin with water or you have a towel with you. Dentures happen to be delicate and can break upon falling. If you care about the money you invested in the dentures, you need to prevent them from breaking. Never let your dentures to dry up. If you are not wearing your dentures, make sure they are in a soaking solution or rather in plain water. This will keep them wet and flexible enough to fit into your mouth arch, the next time you want to wear them. Again, remember not to soak them in hot water, since it will cause the dentures to warp. Just like your natural teeth, your dentures need to be brushed regularly. This will help to remove plaque, food deposits and shield them from staining. It also adds to their lifespan. 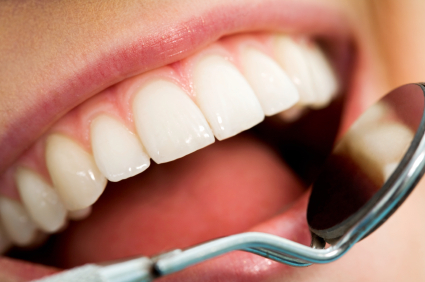 While an ultrasonic cleaner is recommended for dentures, it can substitute regular brushing. You should also make sure that your gums, palate and the tongue, are brushed thoroughly before wearing the dentures. This helps to improve the circulation in the gums and to remove any traces of plaque. Another thing is that you should not hesitate to see your dentist regularly. You should also notify them when the dentures chip, break or when they loosen. Do not handle them by yourself since you can damage them. Remember also to visit the dentist to reline the dentures after two years and every eight years replace them unless they are implant-supported. Getting dentures is the easiest way of dealing with a missing tooth or teeth. They come in different types and materials. The procedure of putting them on is also different. These factors affect the cost of dentures. Hence, understanding these factors can enable you to make an informed decision on the dentures to go for. However, the financing options rendered by the dentists can help the patients to pay comfortably for the dentures. However, the best way to ensure that dentures do not cost much is to take care of them. How Do Braces Work Exactly? 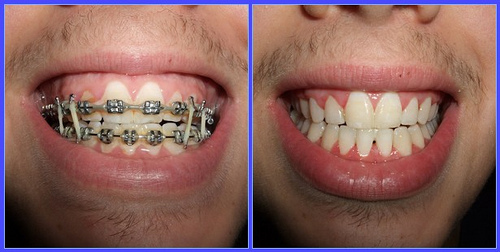 Why You Need To Know – Do Braces Hurt At First? 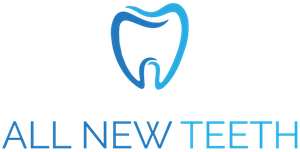 All New Teeth aims to provide high quality resources and information to help guide through your dental care. If you have any questions, please don't hesitate to get in touch.